Mike Honda just cost me $25 I did not intend to spend. I was DONE with my campaign contributions for this cycle. Done, tapped out, not gonna send no money to nobody, no way, no how, not a chance. Yesterday, I got two robo-calls. One from the actor Mark Ruffalo asking me to donate to keep the US Senate blue, just log into my email and open the one he just sent. Got a similar call from another actor this morning. Ignored them. I mean, I have to EAT don’t I? Then I logged into my email account and saw the one from a Ro Khanna supporter asking me for $25. Now, I am your basically broke Democrat. And I have a system for donating. I do not respond to email. And, I set a monthly budget for donations. Said budget depends on my income for that month. My income varies greatly because I am a freelance graphics designer. I have a very tight budget. My system is this. I have $X in my mind as afforable for that month. I give everyone that calls $5 until that budget is exhausted. First come, first served. My budget includes charities, my alma matter and political donations. NOBODY gets $25. Ignored the email. Yeah, I know Ro needs it, but I don’t have it. No more blood in this here turnip. About and hour ago, I went to get the mail from the garage, where our box resides. 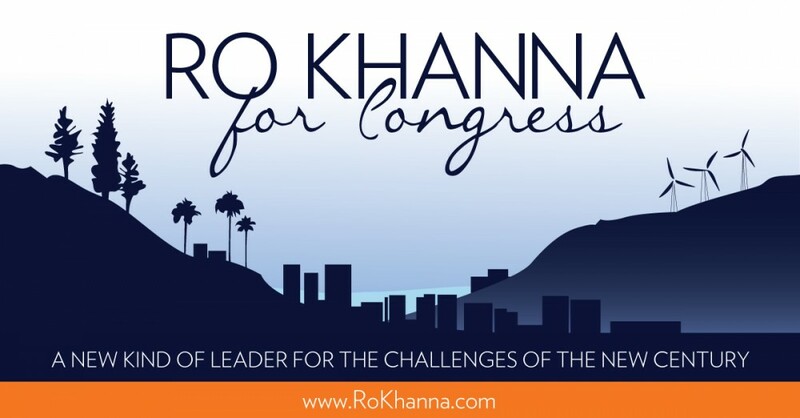 And there, in big, bold print, on a mailer, was an OUTRIGHT LIE about Ro Khanna from a labor union supporting Mike Honda. BLATANT, and in the lowest form of GOP negative campaigning I have ever seen from Democrats. But wait, Honda and labor unions are “good guys”, right? I mean, they ARE Democrats and they NEVER sink to inuendo and guilt-by-association campaigning. Enron my foot (or other appropriate body part). Right? WRONG, grasshopper, WRONG. I support labor unions. Honest, I do. But this mailer suggests that because some dude did business with Enron and because said dude supports Ro Khanna, that Ro is out to, um, screw the little guy. You know what? I KNOW RO. And, when I first became interested in his candidacy, I grilled him on these types of issues. He SUPPORTS UNIONS. And, to insinuate that he would not is an outright LIE. PERIOD! So, I went directly to my email. Found the undeleted request for funds and gave Ro Khanna $25. I am only sorry I can’t take more from my Christmas fund. But my mom will understand when her gift is not as nice as I wanted it to be. She was going to vote for Mike, but after seeing all of Honda’s tactics, she’s voting for Ro, too. Mercury News Editorial on election tactics of incumbent. Up until now, I have given more money to candidates in other states than I have locally. I feel that strongly about keeping the Democrats running things in Washington. But, this donation did tip the scales to Ro. I have given him more than any other candidate. That would not be true if it were not for the mailer I received today. Pushing 60, female, baby-boomer, rabble rouser.